Already leading the nation with the highest number of concealed weapon permits, Florida is nearing a new threshold: granting authority to 2 million civilians who can lawfully carry guns tucked in waistbands, under jackets or inside purses into restaurants, shopping malls and elsewhere. Sometimes called the “Gunshine State,” Florida had a total of 1,971,997 currently valid concealed weapon permits as of March 31, according to the latest figures from the Department of Agriculture and Consumer Services. The number grows about 17,500 each month. Additionally 12,745 judges, correctional officers, military or law enforcement officials hold permits in Florida. At the current rate, Florida – with its population of 21.3 million people – was expected to surpass the 2-million mark for civilians before summer, said Stephen Hurm, director of licensing at the state agency that issues permits. Florida already leads the United States in total number of currently valid permits, according to data from the Crime Prevention Research Center, a Virginia-based nonprofit that is pro-gun rights and studies gun ownership, crime and public safety. Texas has the second-highest number, at 1.36 million as of December, according to figures from that state’s Department of Public Safety. Maribeth Porter Williams, 36, of Gainesville obtained her permit after shooting at a local range. She enrolled in a five-hour class covering safety and Florida’s laws at Harry Beckwith Guns & Range in Micanopy, just south of the city. She received her permit after spending time on the firing range, submitting her fingerprints and clearing a criminal background check. “I can certainly protect myself or defend my home, but really I enjoy going to the gun range and shooting,” Williams said. Although the overall violent crime rate nationally has been on a downward trend since the 1990s, Florida has been the site of at least seven mass shootings in the past three years. The National Rifle Association’s top lobbyist in Florida, Marion Hammer, said the figures for concealed weapons permits here reflected perceptions about public safety. “It’s not safe out there and people are taking responsibility of their own safety and the safety of their families,” Hammer said. Florida has been the site of at least seven mass shootings in the past three years. The National Rifle Association’s top lobbyist in Florida, Marion Hammer, said the figures for concealed weapons permits here reflected perceptions about public safety. Violent crime rates nationally climbed until 2016 but have been declining since then, according to FBI figures. Unlike most other states, it is illegal in most circumstances to openly carry a gun in public in Florida. The state requires prospective permit-holders to be at least 21, undergo training, demonstrate they can safely fire a gun on a range, submit fingerprints to the state and have no felony criminal record. The permit, which resembles a driver’s license, initially costs about $100 and remains valid for seven years. It takes about two months to receive a permit after applying. Felons or applicants with convictions for domestic violence or a record of drug or alcohol abuse are ineligible. Since July, Florida denied 6,430 people who sought permits. 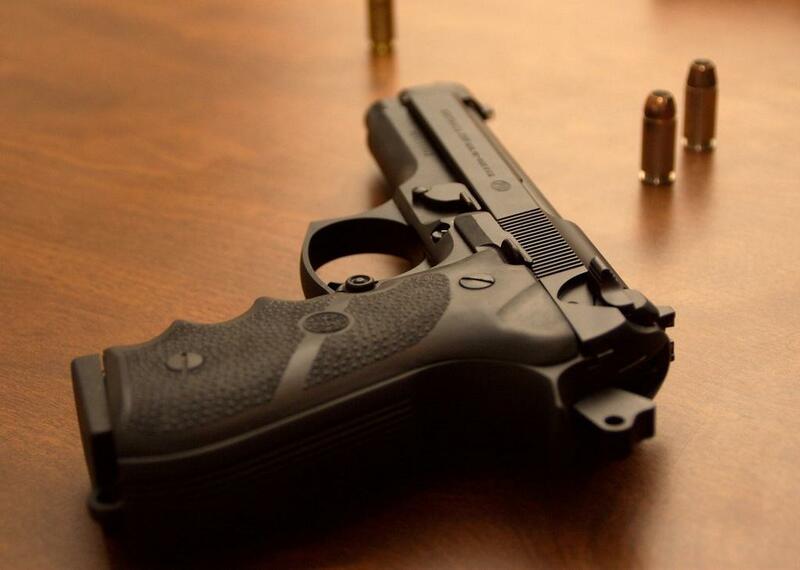 Florida’s permit covers weapons, not just guns, including knives or stun guns. Permit-holders are still not allowed to carry guns in schools, post offices, court buildings, airport terminals, police stations or on university campuses. Florida’s figures mean about 12% of the adult population here has a permit. Eleven other states have higher rates of permit-holders, including Alabama and Utah. The relatively high number of residents who can legally carry concealed guns in Florida generally doesn’t disturb anti-gun activists, since the backgrounds of permit-holders are scrutinized and they are required to participate in education and safety classes. Wolf criticized what he described as the “wildly unregulated and inconsistent” process to buy guns in Florida. Democratic lawmakers in Florida have proposed tightening gun regulation, but with a Republican majority in both chambers, that is unlikely. Republicans have sponsored a bill, SB1238, to allow religious institutions and private schools to authorize people to carry guns in their facilities. This story was produced by Fresh Take Florida, a news service of the University of Florida College of Journalism and Communications.